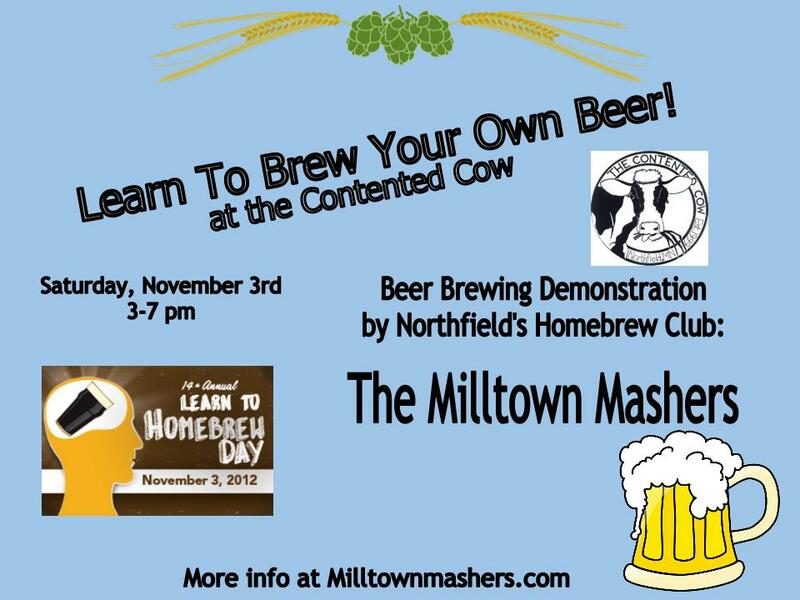 The Contented Cow is hosting us to celebrate Learn to Homebrew Day! We’ll be brewing on the patio November 3rd from 3-7pm. We will be brewing a few recipes and will post them here once finalized. If you are new to brewing, there is lots of interesting information on the American Homebrewers Association website. Once you’ve brewed a batch, contact us to come to a Milltown Mashers meeting and share yours while getting to sample other brewers’ creations. We discussed possibly doing an event for National Learn to Homebrew Day on November 3rd.